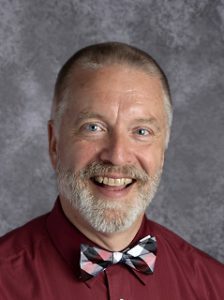 Pastor Huebner has served as Salem’s pastor since 2012 coming from St. Martin Lutheran Church in Chilton, Wisconsin. He was born in Milwaukee and raised in suburban Brown Deer. He attended Lutheran elementary and high schools. During his school years he worked part-time for a pizza place, an electric motor repair shop, and a lawn service. He is married to Crystal, a native of New Holstein, Wisconsin who is a respiratory therapist at St. Louis Children’s Hospital. The Huebners have three daughters; Lauren who is a sophomore at the University of Missouri – St. Louis, Anna who is a senior at Lutheran High School South and Maggie who is a freshman at Lutheran South. Pastor Huebner enjoys baseball, photography, home brewing, gardening, date nights with Crystal and spending time with his family. Pastor Huebner enjoys the fact that in his job he has the opportunity to share with people the good news of forgiveness and everlasting life in Jesus Christ. 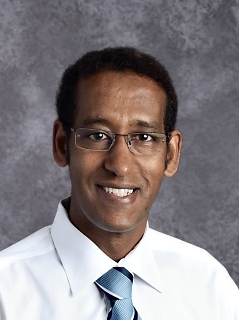 Teklu is Salem Lutheran Church and School’s Vicar for the 2018 – 2019 year. He is a third year student at Concordia Seminary in St. Louis and comes here from Ethiopia via North Carolina. Teklu is working with Pastor Huebner in leading worship at the church and teaching in the school. Vicar Ketema is married to Tsion and they have two children. Their son is Jonah and their daughter is Selah. John is the Director of Music Ministry at Salem Lutheran Church, a position he has held since 1995. 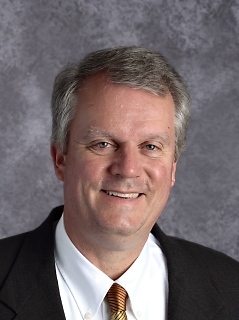 His duties include overseeing, planning and leading music programs for the church and school. John earned his Bachelor’s degree from Valparaiso University and his Master’s from University of Missouri-Kansas City. John is married to his beautiful wife, Karen, who is the assistant director of the Lutheran Association for Special Education (LASE). John and Karen have a wonderful daughter Jennifer who is a freshman at Creighton University. 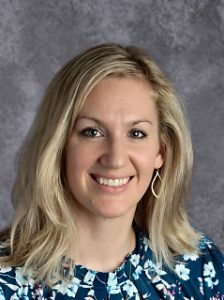 Kristina attended Drake University, playing basketball and volleyball, and graduated in 2005 with a degree in Psychology and Business. Before coming to Concordia Seminary here in the fall of 2007, she was a social worker for Lutheran Social Services of Illinois and a youth director at Christ the Rock LCMS in Rockford, IL. Kristina married Nathan at Concordia Seminary, St. Louis in 2009. The Pauls have three children; Jackson, Claire and Oliver. Pam is a native of Seymour, Indiana. 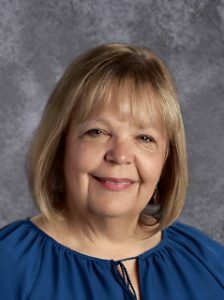 She earned her bachelor’s degree in Education from Concordia – Ann Arbor and holds graduate credits from the University of Cincinnati. Pam has taught full time for more than 10 years, and part time for 15 more. 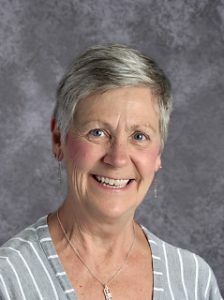 Prior to serving Salem, Pam taught at Trinity Lutheran in Port Huron, Michigan and Concordia Lutheran in Cincinnati. During her time at Salem she has subbed and taught middle school for 9 years. Pam believes Salem is special because “it’s a family and everyone cares about each other. Each person is an individual, not a number.” Pam has two children: Kyle who is a graduate of Missouri University of Science and Technology and Erin who is a sophomore at the University of Evansville. In her spare time Pam enjoys being with her kids, reading, sewing, weaving baskets, and watching Indiana Hoosier basketball. Terry Rooney joined Salem’s staff in June of 2017 and is our congregation’s Financial Coordinator. Terry’s experience includes work with accounts payable and receivable, payroll and as the owner of a small business. Terry is married to Jim and is a mother and grandmother of nine. Terry earned her bachelor‘s degree from Maryville University and her master‘s degree from Lindenwood University. Susan “Susy” Naucke Schindler sings with the Parish Choir and Joyful Sounds. She’s also the head of Salem’s Greeter team and the treasurer of the Altar Guild. She is, by the grace of God, a three time cancer survivor with a passion to love and support others with cancer. Susy also leads Salem’s Cancer Support Ministry. Susy was baptized at Salem, attended Salem Lutheran School, kindergarten through eighth grade, and was confirmed at Salem. She graduated from Affton High School with a French scholarship to Webster College where she met her husband, Tom. They married in 1985 and live in South City with their dogs Saque, Georges and Eleanor. Susy enjoys decorating, walking her dogs and riding her Harley. She is delighted to be working at Salem and is happy to serve the wonderful, loving people of our congregation.